Two members of Ghana’s contingent to the 2018 Commonwealth Games in Gold Coast, Australia did not return. 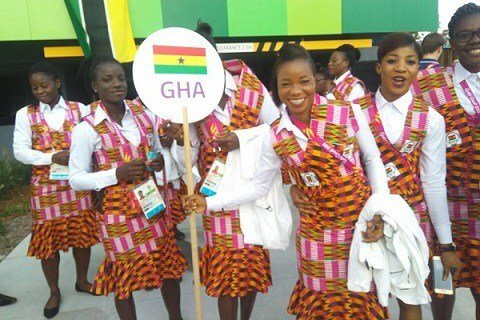 The Ghana Badminton Association has confirmed Stella Amassah and Gifty Mensah disappeared from team Ghana’s camp and have still not been found. This comes on the back of team captain Botsyo Nkegbe’s claims on the Joy Sports Link, Saturday, that he was sure that all the 72 athletes, who went for the Games, were accounted for and had left Australia for Ghana or wherever they came from. The two athletes were active in the Games and represented Ghana in the women’s mixed and team events. Stella Amasah’s run in the competition ended on April 12 when she and Emmanuel Donkor lost to Malaysia’s Goh Soon Huat and Lai Shevon Jemie in the mixed doubles round of 16 match. Gifty Mensah, on the other hand, exited the competition on April when she and Grace Atipaka lost 2-0 to Sonia Cheah and Lai Shevon Jemie of Malaysia in the women’s doubles round of 32. However, they ran away a day after they were eliminated. The Badminton Association in a statement released on Monday and signed by President Yeboah Evans stated that it has notified the Commonwealth Games Federation, the Australian Border Police and the National security desk, INTERPOL, the Ghana High Commission in Australia and the Ghanaian community. The athletes if found will be prosecuted under Australian law and extradited to Ghana for further prosecution.